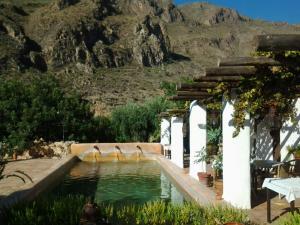 This page details various Rural Hotels, Guesthouses and Bed & Breakfasts in the villages and countryside of Andalucia. Ideal for an 'away from it all break', this section offers a list of rural accommodation as well as links to other pages of specific inland hotels. Whatever your choice, these rural hotels will definitely help you to 'get away from it all'. For Rural Holiday Rentals in Andalucia visit our Rural Rentals page. 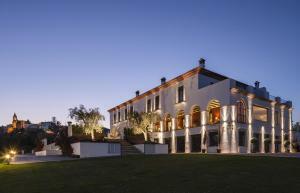 For Rural Parador Hotels check our Rural Parador Hotels page. Luxurious informal rural retreat near Granada. Amazing views, pool & Jacuzzi. Visit the Alhambra, therapeutic healing waters, lakes. An ultra cool hideout for those in the know. Mix film set with rustic charm and luxurious glamour. Renowned restaurant, modern world cooking. Located near Riofrio in Montes de Malaga. A delightful 7-room guesthouse, located within the medieval walls of Vejer de la Frontera on Costa de la Luz. The rural hotels below are selected from one of our affiliate partners. Featuring an outdoor swimming pool and terrace with stunning views of the mountains, Casa Vesta is located in Zufre, in the Sierra de Aracena, Huelva. This country house offers air-conditioned rooms with free WiFi. All rooms have a balcony with views of the garden. There is 1 private bathroom with a bath or shower, hairdryer, and free toiletries. 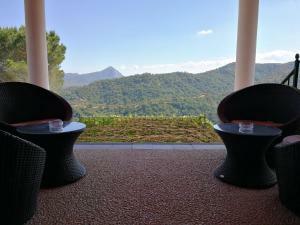 Surrounded by chestnut and oak trees, this hotel is located just outside the village of Benarrabá in the province of Malaga, allowing you to stay in peace and stroll through the charming village streets. Banu Rabbah is housed in a building that has been built to blend with its charming surroundings. This charming, family-run property is located 800 m outside Níjar, in Andalusia’s beautiful Huebro Valley, Sierra Alhamilla in Almeria. 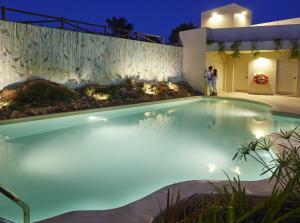 It offers a garden with a swimming pool and orange and olive trees. The attractive rooms at Cortijo La Alberca feature Moorish-inspired décor, with terra cotta floors and solar-powered under-floor heating. 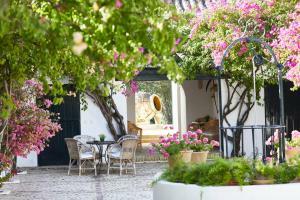 The Hacienda de San Rafael is set among olive trees halfway between the historic towns of Seville and Jerez. It offers a combination of rustic charm, total quiet and modern luxury. The rooms are individually decorated with antique furniture and paintings from around the world. Situated in Aracena, Huelva province, 1.1 km from La Gruta de las Maravillas, Hotel Galería Essentia has a number of amenities including a seasonal outdoor swimming pool, a garden, a terrace and free WiFi. Offering a restaurant, the property also has a bar. Some rooms at the property feature a balcony with a view of the town.